My plan is to do a review or two a month, and to review whatever module catches my fancy. If you would like me to review an adventure in which you have an interest, please drop me a line at alex.karaczun@omensandportents.com and let me know what you’d like to see. Disclaimer: There are spoilers beyond this point. If you have not played this adventure and intend to, read no further. Let me start this review by saying that I feel the Caves of Chaos map is quite possibly the best map ever created by TSR for Dungeons & Dragons. The contour lines, the copses of surface trees, and the linked dungeons underneath it all is just wonderful. Now let me be honest here, and say that The Keep on the Borderlands is the very first adventure I ever played back in 1979, and something about it has been tattooed on my subconscious. I do however think I am being pretty objective about this point. Gygax is meticulous about making sure that stairs and slopes all match the external contour lines, there are many ways to approach the different cave entrances and there is just enough detail added to the important rooms to get the imagination going. There are different ways to approach many of the encounters, and it is entirely possible for the players to get their characters in above their heads if they don’t pay attention to the warnings they are given at the Keep. Something else that makes this adventure so good is the detail given to the Keep. The map itself is interesting, and has plenty of area to explore. For a 12 year old looking at this for the first time, the use of archaic language (all explained in the glossary near the end of the module) made this place come alive. Adding to the life of the Keep is an impressive array of NPCs the adventurers can meet and interact with. 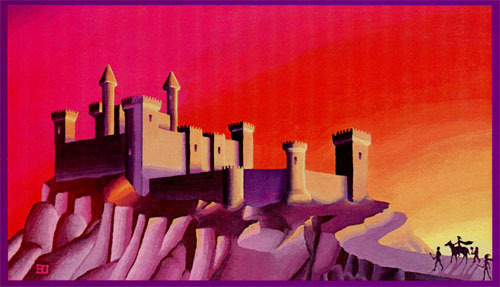 As a teenager we barely spent any time in the Keep itself, preferring instead to move on to the perceived greater excitement of the wilderness and dungeon. However now I can see spending entire sessions exploring the Keep itself, and rooting out the servants of evil and chaos who have infiltrated this bastion of good and law. This is perhaps the weakest part of The Keep on the Borderlands adventure. The encounters aren’t terribly interesting, but they were, I believe, intended as examples only. I do like the hermit encounter in that there are several ways it can play out. 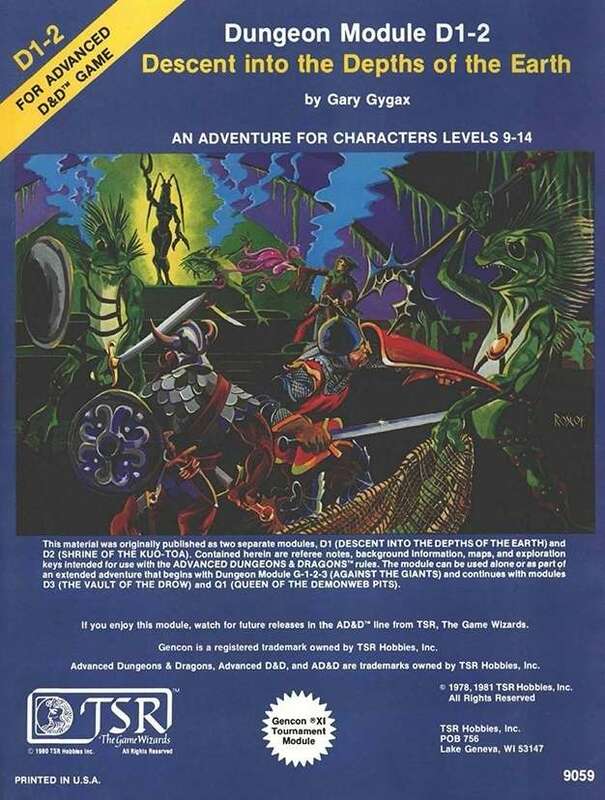 The lizardmen encounter is interesting for its location, and the prospect of the adventurers squirming their way through mud tunnels to “take care of” the rest of the tribe. The Wilderness map itself is okay as far as these things go. 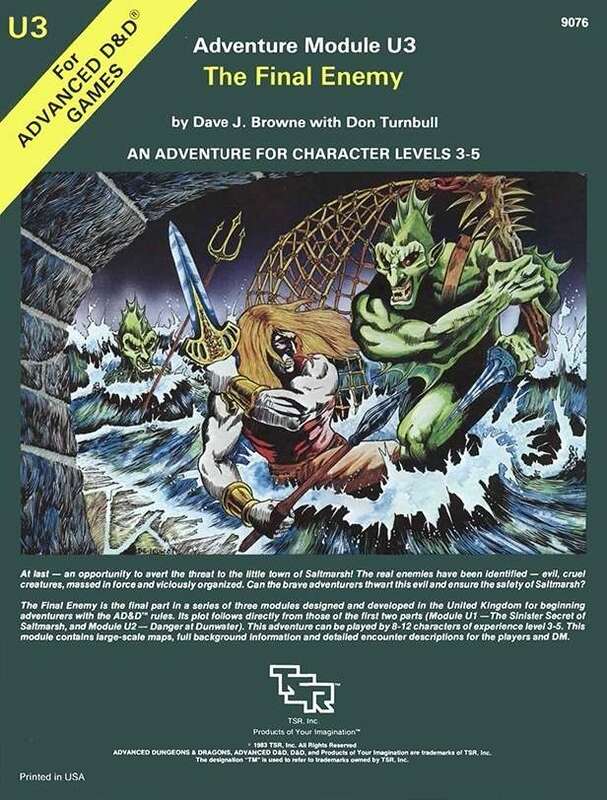 No real complaints here, except that given that the description of the ravine containing the Caves of Chaos specifically is written as if the adventurers approached from the east, it is entirely possible they could approach from any direction. I’ll start off by saying that an opportunity was missed to really link the different tribes, and the shrine of chaos and its undead controlling priests. There is no true “Big Bad Evil Guy” or BBEG in this adventure and it is a shame. 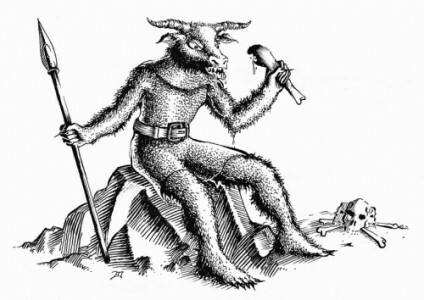 The god or demon of evil and chaos worshiped here is also left vague. I believe that Gygax did this to allow the Dungeon Master to substitute his own creation to fill that role, but I think E.G.G. may have overestimated most of his audience at that time. I personally know of no one, at least during thier first run through of this adventure, who created either an actual BBEG or filled in the blanks with the patron deity of the temple. All that said, any Dungeon Master wishing to add that kind of detail has very little work to make the end of the adventure truly shine. There are even suitable “official” Dungeons and Dragons deities to fit the bill. My own personal favorite is Tharizdun, but any Demon Prince would do just as nicely. The real strength in the design of the Caves of Chaos is in the Dungeon Master Notes following each section. These notes describe how each tribe handles being defeated by the adventures, what defensive improvements they make should the adventurers retire back to the Keep before finishing off a tribe, and who their allies and enemies are among the other cave dwellers. There are also many encounters that either demonstrate these alliances and rivalries, or include complications such as run-ins from other encounter areas. The design is exceptional. One of my personal favorites is the connection to the Ogre cave from the goblin warrens. The fickle nature of the Ogre and desperation of the goblins at this point is truly interesting encounter design. I also love that the hobgoblins have access to the goblins’ supplies and steal from them regularly via a secret door, and that the goblins aren’t bright enough to figure it out. Wonderful stuff! I’m not sure at this point if I want to do some kind of 5-star system for these ratings. For now I’m just going to give my recommendations in text form. I think this adventure is one not to be missed. While it isn’t perfect, it is a whole load of fun if Dungeon Mastered correctly. With very little work an enterprising Dungeon Master can make this adventure more than a sum of its parts, and truly make it her own. 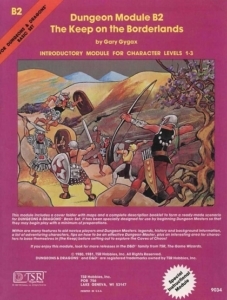 This was my first venture into the world of Dungeons & Dragons and I will always remember it fondly. I am running B2 Keep on the Borderlands game on the Unseen Servant, combining it’s 25th anniversary module “Return to the Keep on the Borderlands” into it. It adds more detail to the Keep’s inhabitants & visitors, & with the different encounters in the Caves of Chaos, i either substitute out or combine in some way or another. I may do a review of the 25th Anniversary version at some point, comparing and contrasting the two version.